The fear that booming tourism could pose a threat to Tibet's ecosystem has become a hot topic at the Forum on the Development of Tibet, which closes today in Lhasa. Tibet is in many ways the "roof of the world," not only because this vast autonomous region of China holds the highest mountain range in the world, but also because of its extensive natural, historical, anthropological, and cultural richness, which stands as a landmark in an increasingly globalized reality. This has attracted the interest of many people inside and outside of China. Tourism has risen as an important source of income and prosperity for the region. 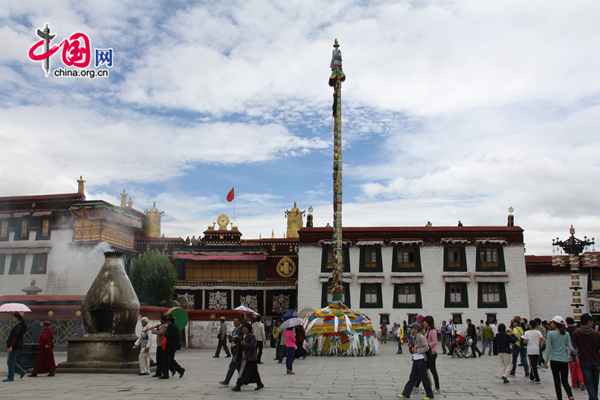 In 2013, for example, a record number of 12.91 million people visited the Tibet Autonomous Region. Specifically, more than 223,000 overseas tourists travelled there in 2013 -- up 14.5 percent year on year -- while the increase in Tibet's tourism sector revenues amounted to 30.6 percent year on year, totaling 16.51 billion yuan (about US$2.7 billion). Currently, its highlands are considered the third cleanest area on the planet, surpassed only by the North and South Pole, with one of the lowest concentrations of pollutants in the atmosphere. But the growing needs for energy, irrigation for crops, livestock, mining and other human activities have begun to exert pressures on the ecosystem. "Tibet plays a strategically important role in influencing China's overall geography, stabilizing its climate, and protecting water sources and biodiversity. Any bio-environment changes in Tibet not only endanger Tibet, but also other parts of China and Asia as a whole," Shoichi Kondo, member of the House of Representatives in the Diet and former Japanese senior vice-minister of the Environment, said at the forum, which has been organized by the State Council Information Office and the People's Government of Tibet. "Therefore, it is of vital importance to maintain Tibet's sustainable biological development," Kondo stated. Booming tourism's possible threat to Tibet's ecosystem is a hot topic at the Forum on the Development of Tibet.